What's this slidery thing next to the download link? It also acts as a visual que to remind you which craft you've already downloaded, if it's in the OFF position (red) you've already downloaded the craft. As you are not logged in it will only remember what craft you've downloaded in this session. Login if you want KerbalX to remember your downloads between sessions. Action Groups are the only bit of craft info that is not read from the craft file. If the craft has a B9 info drive they can be read from that, otherwise they have to be set manually. This craft has been added to your downloads queue. 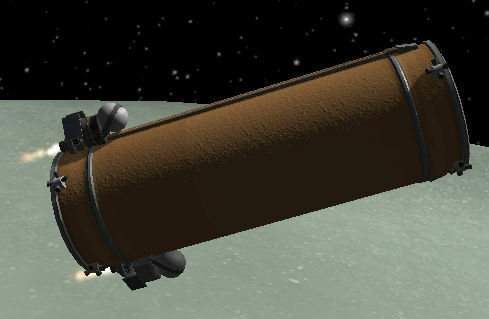 Use the KX Mod to fetch it when you are next in KSP. Enable deferred downloads to make this the default way to download. Not sure how to install a craft file? Fully-reusable SSTO designed to launch empty tanks at Minmus for mining operations. Transfer all remaining fuel to the orange tank before decoupling! Seprotrons will deorbit the engine section. A stock rocket called 0H Megadreen. Built with 57 of the finest parts, its root part is Size2LFB. 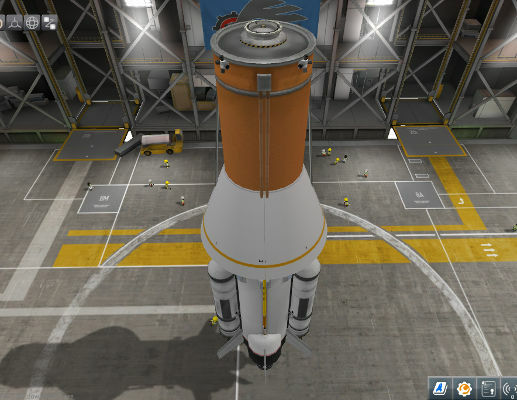 Built in the VAB in KSP version 1.1.2. Like KerbalX.com? Show your support!! Do you really want to downvote this? Don't forget, people build craft at all skill levels, just 'cos something is 'newbish' doesn't mean it needs hatin'. So only downvote craft that are totally unusable, not the craft pictured or have NSFW content with it. KerbalX is a free service without adverts and I want to keep it that way. but I need your help! If you can help me with the running costs and my dev time that would be most excellent! If you're able to chip in something monthly check out my Patreon page or you can use paypal if you'd like to make a one-off donation. Thankyou very much for the donation! !